University Press of New England, 9781611684452, 264pp. 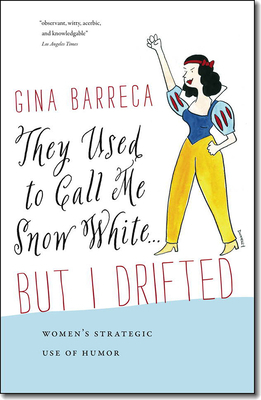 Published by Viking in 1991 and issued as a paperback through Penguin Books in 1992, Snow White became an instant classic for both academic and general audiences interested in how women use humor and what others (men) think about funny women. Barreca, who draws on the work of scholars, writers, and comedians to illuminate a sharp critique of the gender-specific aspects of humor, provides laughs and provokes arguments as she shows how humor helps women break rules and occupy center stage. Barreca’s new introduction provides a funny and fierce, up-to-the-minute account of the fate of women’s humor over the past twenty years, mapping what has changed in our culture—and questioning what hasn’t. GINA BARRECA, professor of English and feminist theory at the University of Connecticut, is the author or editor of over twenty books, including Make Mine a Double: Why Women Like Us Like to Drink (or Not).